Did you know that our teeth can't repair themselves? That's why we need to take extra care of them by maintaining good oral hygiene. What happens if I don’t take care of my teeth? To make sure your teeth are healthy, make it a habit to brush your teeth at least twice a day. Flossing regularly and visiting your dentist or oral hygienist twice a year will keep dental cavities, toothache and tooth loss at a minimal. It's never too early to establish a healthy oral hygiene routine with your children. Teaching your child proper oral care at a young age is not only a healthy habit but can also assist with their speech development. Teeth play a vital role in forming words and a lack of teeth can often contribute to speech problems. Milk teeth create the "pathways" or maps for permanent teeth and when a few teeth are missing, the permanent teeth pop out at different angles. If you don't take proper care of your teeth, you may end up paying a lot of money to repair the damage. The Western Cape Department of Health has a strong school health programme, that includes oral health and promoting the brushing of teeth. If we are visiting the school with a dentist and want to check all the Grade R and Grade 1 children’s teeth, parents will receive a consent form that they should sign and return to the school. With your consent, our team may fix any problem teeth. 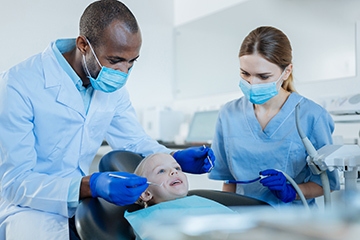 You may receive a note (referral letter) that asks you to make an appointment at your clinic so that they are seen by the oral health team when they next visit the clinic. Please don’t ignore these requests, healthy teeth are important to your child’s overall health. Good oral hygiene can help prevent bad breath, tooth decay and gum disease. Dental staff at our primary healthcare facilities will be able to tell you how to keep your mouth, gums and teeth in good health because preventing tooth decay is easier than fixing it. 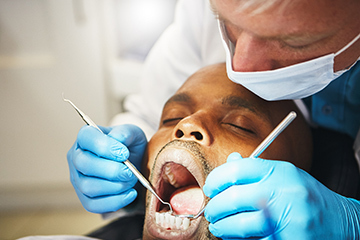 Our dental services at clinics are free of charge. More complicated matters that can’t be treated at the clinic will be referred to the next level of care. Depending on your financial situation, you may be charged for services at these facilities. Our clinics don’t offer dentures but they're able to repair dentures. Severe gum diseases can be treated at our clinics but mouth sores or ulcers will be referred to the appropriate level of care. People living with HIV and other illnesses that affect their immune system are more prone to oral thrush. Treatment is available free of charge at our clinics. Injuries due to accidents are treated as necessary. Although simple fractures can be taken care of at primary healthcare clinics, in the event that you’ve been cared for at an Emergency Unit after your accident, it's likely that you’ll be referred to your local oral health unit for further care. There's no reason to be afraid as our facilities have highly trained dental staff. If you need a general anaesthetic to put you to sleep, you'll be sent to a local hospital, where a dentist will perform the procedure. Remember to bring along your identity document and proof of address, and make sure to arrive at the clinic early to avoid long queues.